I am not good at fitting into the contemporary art world. There are social behaviors that I totally miss that seem to come so naturally to everyone else. It’s painfully obvious that I’m struggling. I can spend hours planning how to best say a few sentences, and then I will spend even more hours replaying and analyzing what I said and how it might have been perceived. I don’t see approval or disapproval, acceptance or rejection. I don’t know if my words have been successful, no matter how well planned. I am “blind” to non-verbal communications, so perhaps that is why I prefer visual communications such as drawing. I almost always wear the same clothes, at least until they can’t be worn anymore because that’s comfortable for me. If my clothes don’t feel right on me, I can’t concentrate on anything else. 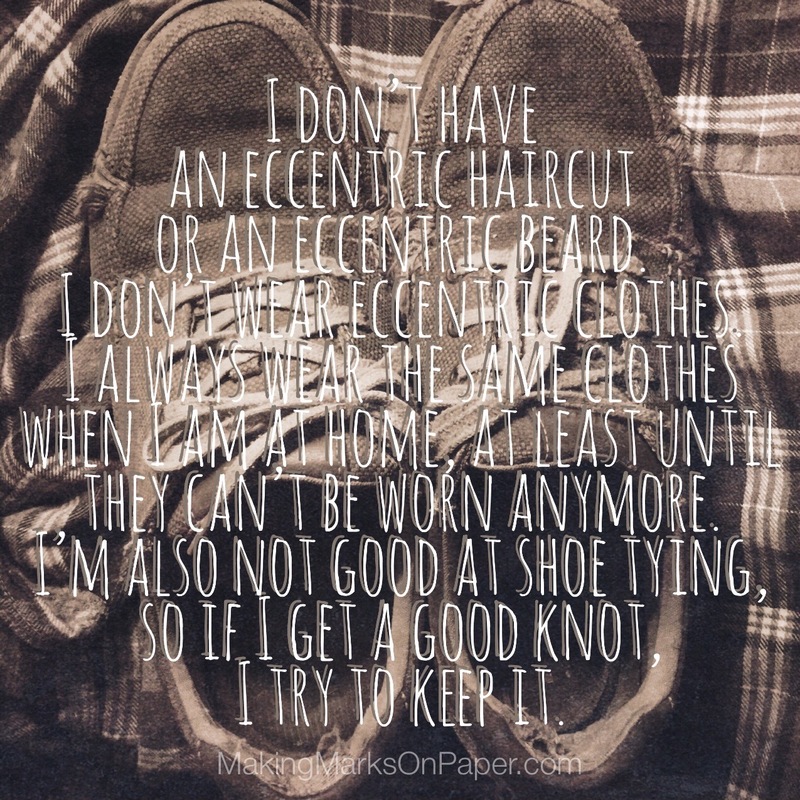 I’m also not good at shoe tying, so if I get a good knot, I try to keep it. There are many things in life that I don’t think I will ever get right. I don’t want drawing to be one of those things…and taking care of my chickens. I want to get that right too. I could talk forever about my chickens, and they don’t care whether or not my shoes are tied. Reblogged this on Me & My Aspie Hubby.